Blue t-shirts are very popular here at JonesTshirts.com. Most of our t-shirts come in a blue option, the most common being navy blue and royal blue. There are many other blue t-shirt colors available, like indigo blue, light blue, sky blue, metro blue, caroline blue, iris and more. 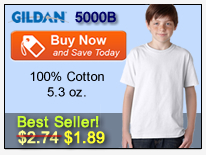 Use the listing below as a starting point, each of these t-shirts come in a variety of blue. 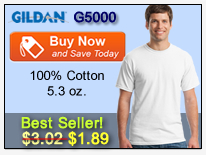 The Gildan 2000 has the most blue options available and the Gildan G5000 is the lowest price t-shirt with blue options. 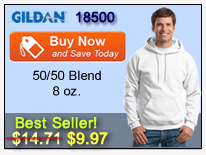 To browse through our entire line of t-shirts, most of which come in blue, go here. Below are a few of our most popular t-shirts with blue options. Just click on any of the pictures below to go directly to that style. We hope you find exactly what you are looking for. 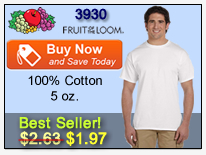 We know you will find the best selection of blue t-shirts at wholesale prices here at JonesTshirts.com. 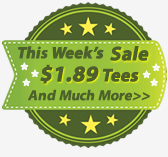 View all of our wholesale t-shirts with blue options here.